Children's Paradise is not popular? How can we achieve profitability quickly? Children’s Paradise is not popular? How can we achieve profitability quickly? Children’s Paradise has the quick speed of opening at constant all the country, what causes the children’s paradise industry so hot? It is highly respected by investors for its low investment returns, diversified management practices, and simple maintenance. Then there will be questions: If I opened the children’s park, how can we achieve profitability quickly? Why the business is just so-so? Third, the level of service may also affect the business factors, we need to consider whether the clerks’ attitude is warm, the service is enough humane. Last but not least, whether the old equipment, the appearance is not enough new, resulting in children are not high interest. Then, how can we achieve profitability quickly? 1. membership card strategy: such as the original price of 60 yuan/times, membership card 400 yuan / 10 times this model, it is seemingly hit, in fact, according to 60 yuan each time, the customer may not come three times. But in accordance with the member’s card model, the customer developed a habit of consumption and basically will continue to renew. So, membership card model to improve the long-term profitability of children’s paradise. 2. improve service levels: before the opening of the park, we should prepare for staff recruitment and training work. The first view children’s paradise is very important. We must show a good service, so that will be more repeat customers. 3. decoration and equipment: they together constitute the image of children’s paradise. The decoration is best in accordance with a central style, all the details of the match with the theme, which can give a deep impression. We can choose a variety of colorful, attracting children’s eyes. 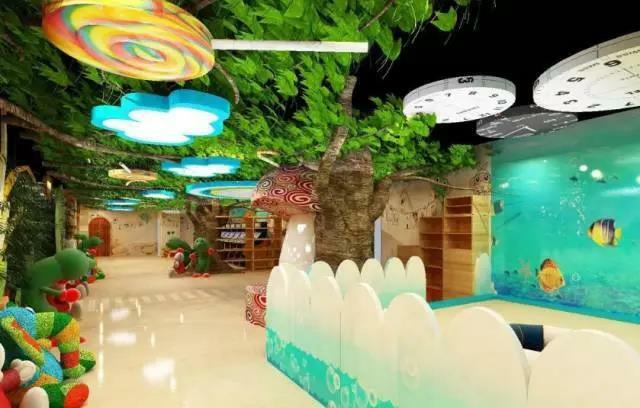 4. publicity and promotion: children’s playground only to raise awareness, in order to attract more new customers, so it is necessary to promote the above efforts, you can send leaflets, activities, WeChat to send small gifts and other activities to improve visibility.